How do you decide which training split is right for you? 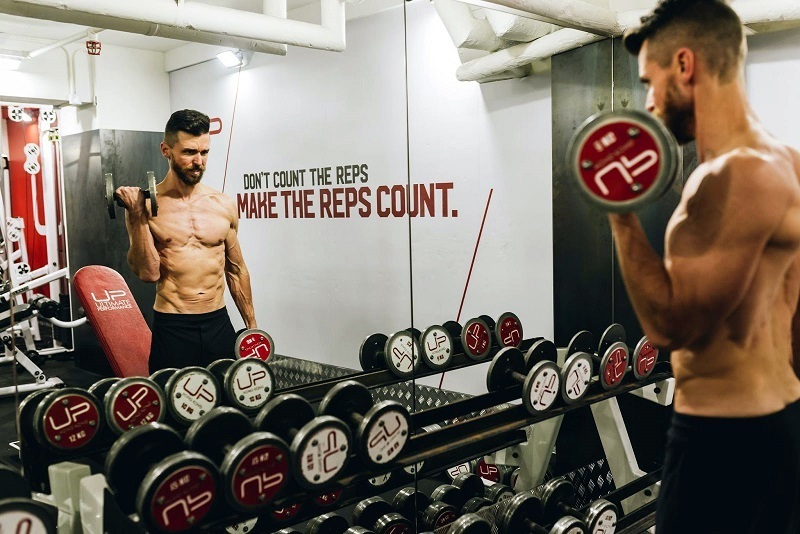 If you’re wondering ‘what is a training split?’ it’s basically the method you use to group particular muscles together into a series of workouts. Training splits vary from training the entire body in one session to focusing on just one muscle per session. Which split will be most effective is dependent on your goal, availability, strength, training history, and ability to recover. Let’s take a closer look at some of the options. Full body workouts are perfect for beginners. Beginners are unable to train at a high intensity, and with their low levels of strength they won’t be able to accumulate much volume. So, that leaves us with frequency as the primary means of progression. And lifting, like most activities, is learned quicker the more often you do it. That means training the entire body at each session is essential for those new to weight training. Full body workouts are great for fat loss cycles. 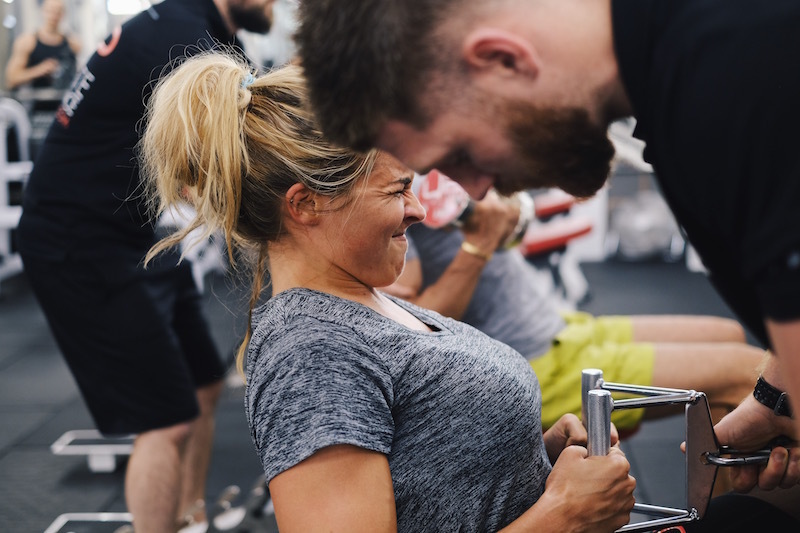 For proof, look no further than the success of the German Body Comp program championed by Charles Poliquin and UP founder Nick Mitchell, and Peripheral Heart Action training popularised by Bob Gajda. These systems, as well as other circuit training variations that prioritize bang-for-your-buck exercises and strict rest periods, are extremely demanding but great for achieving a leaner physique. Those with hectic schedules and limited training time are also a great match for full body training. If you’re short on time, full body workouts allow you to stimulate the most muscle mass and generate a high energy expenditure. Most often with a full body workout you’ll only be performing one exercise per body part, so you’ll want to stick with primarily compound movements. To perform two or more exercises per body part with a full body routine would require an excessively long session or the use of special techniques such as pre-exhaustion or mechanical advantage extended sets. This most common version is doing three non-consecutive days per week. One to two days of rest between workouts allows for sufficient recovery. Unless you mind not always lifting on the same days of the week, the ‘every other day’ schedule gives you slightly more frequency than the above three-days-per-week version. This ‘four days per week’ schedule bumps up frequency and only requires you to train on consecutive days on one occasion each week. There is the option of doing a ‘four days per week, weekends off’ version. Training on back-to-back days can be tough, but for many people it’s worth the tradeoff of keeping Saturday and Sunday open. 1. No more than two off days in a row. 2. No more than two training days in a row. Splitting workouts into upper body and lower body sessions allows for more volume and variety per muscle at each session since you’ll be training fewer of them. Because of the increased volume, you will require more rest days between workouts for the same muscles. But that doesn’t mean more off days from training. It just means that days you train, the lower body count as off days for the upper body and vice versa. 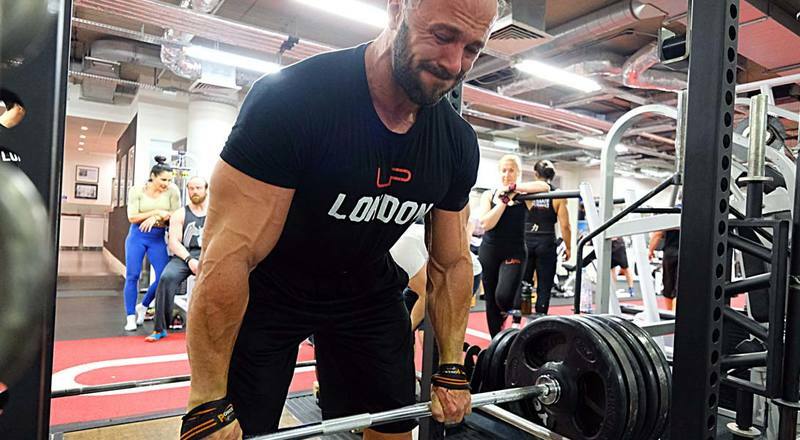 The upper/lower split is a good choice lifters who have advanced from the beginner stage to intermediate. It also works well for those with strength goals. Two to three days of rest between workouts for the same body part are often needed after training with high percentages of one-rep max. On this schedule you’ll train four times each week but only on back-to-back days once. And it allows for an off day after each lower body session, which tend to be the hardest to recover from. This is another four days per week schedule. You’ll train on back-to-back days twice, but it leaves the weekend open. If you need more recovery, the three days per week option works well. If you don’t mind the rotating schedule and would like more recovery time between sessions, the every other day option is also a good one. And for slightly more frequency the ‘two days on, one day off’ schedule. Movement-based training detailed in the split below is closely related to the upper-lower split. Each workout prioritises particular movements. 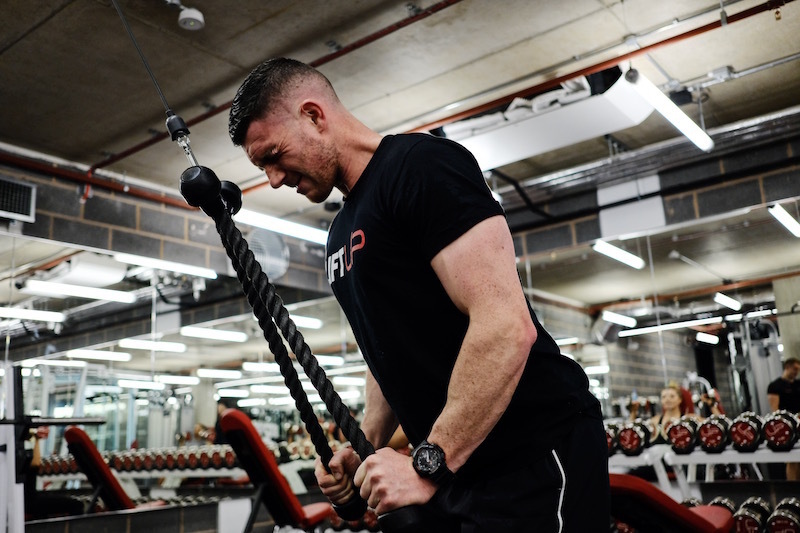 For example, on upper body sessions there’s a horizontal push-pull focus, with exercises like flat bench press and prone dumbbell rows, or a vertical push-pull focus, working on exercises like the dumbbell press and pulldown variations. There are four different sessions that can be split in exactly the same fashion as the upper-lower body split noted earlier. The primary exercises are decline, flat, and low incline presses, and row variations. And you can finish up with biceps, triceps, and shoulder isolation exercises. Primarily consists of deadlift and good morning variations. You would also include secondary movements for the quads and hamstrings, and possibly the calves, and abs. 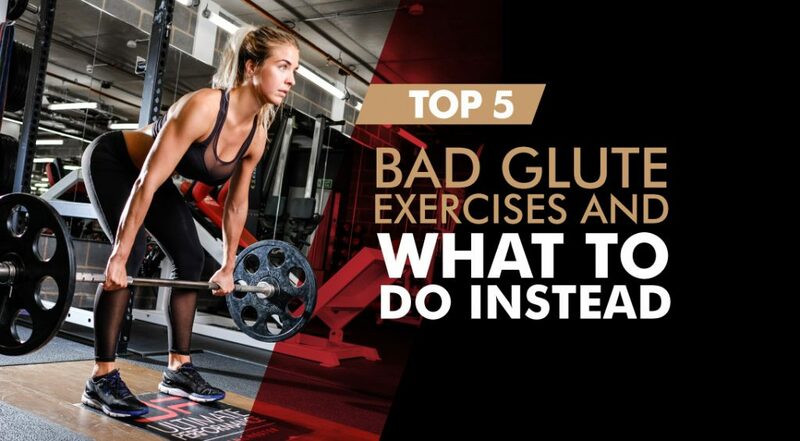 The primary exercises are overhead and high incline presses, chins, and pulldown variations. And you can finish up with biceps, triceps, and shoulder isolation exercises. Primarily consists of squat variations. You would also include secondary movements for the quads and hamstrings, and possibly the calves, and abs. Alternating sets for opposing muscle groups enables you to perform a high volume of work in a timely fashion. 1. Train them with biceps and triceps. 2. Train them with chest and back. 3. Train shoulder press variations with chest and back, and shoulder isolation exercises with arms. For many, training a body part once every seven days just isn’t frequent enough stimulus to make continuous progress. So, if you like the body part split, but want more frequency, consider a microcycle length less than seven days. Some lifters prefer to alter the antagonists split slightly, pairing chest with biceps and back with triceps. The same training schedules still apply. The pool of lifters that should consider training just one muscle per session is small. You must be able to commit to training 6-7 days per week. Anything less than that and too much time will elapse between sessions for the same body part. And you must have advanced levels of strength and work capacity to tolerate the high volume required to progress on this type of split. This option is not for beginners. 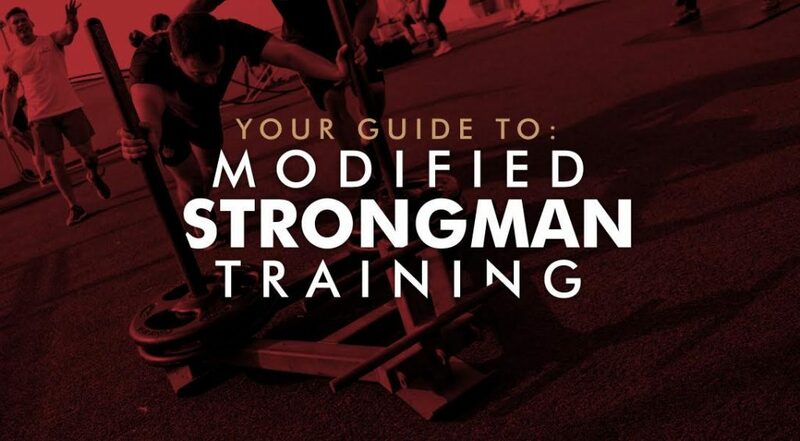 But if you are a candidate for this split it does allow you to train each body part with a variety of exercises, rep ranges, tempos, and special techniques. When arranging your training schedule with this style split be cognizant of how one training session impacts the next. For example, it may be difficult to train chest the day after triceps. Again, only a small percentage of lifters will find this split effective. And even then it should probably only be used for short phases before moving on to a split that hits each body part more frequently. There is no perfect training split or training frequency. 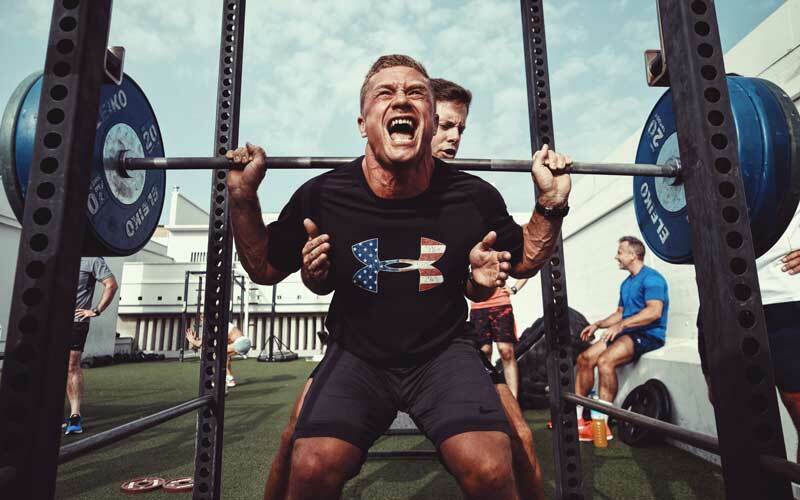 Goals, needs, availability, and a host of other factors are going to change over the course of a lifters life, and so should their training split. The split that works today may not be the best choice a year from now. You must survey the situation, choose one that fits, and tweak as necessary.